He was the NFL’s first superstar dual-threat quarterback, a prolific runner and passer whose personal highlight tape has withstood the test of time. During a 16-year career, Randall Cunningham accumulated victories and oh-wow plays in bunches. He was a Pro Bowler. He was an All-Pro. In one season, he passed for almost 3,500 yards and 30 touchdowns, and also rushed for more than 940 yards with another five touchdowns. Five times, he guided his teams to at least 10 victories in the regular season. In six seasons, he started nine playoff games. Cunningham did it while displaying athleticism the NFL had never seen at the game’s most important position. Mention Cunningham’s name to Carl Banks, and you had better have some serious time to just chill and listen. Back in the late 1980s and early 1990s, when Banks was one of the game’s best linebackers with the New York Giants and Cunningham was causing fits for opponents with the Philadelphia Eagles, the NFC East was the baddest division in professional sports. And whenever the Giants played the Eagles, Banks knew he would face the ultimate test in trying to contain Cunningham. “When they would say he was ‘The Ultimate Weapon,’ he was truly the ultimate weapon,” said Banks, now an analyst on Giants radio broadcasts. “I don’t think there was ever a quarterback who was harder to prepare for, or gave defensive players individually more problems or more concerns before the game even started. Banks had a starring role in the signature play of Cunningham’s career. On Oct. 10, 1988, the Eagles hosted the Giants at Veterans Stadium. Two marquee teams. Divisional foes. Monday Night Football. For football fans, it was a must-see event. Cunningham completed 31 of 41 passes for 369 yards and three touchdowns with no interceptions in a 24-13 victory. But it was his showstopping move in the second quarter that left Banks and his teammates shaking their heads. Trailing 3-0, the Eagles were at the Giants’ 5-yard line. Cunningham took the snap, rolled right and was pursued by Banks, who was among the best tacklers in the game. Banks hit Cunningham at the 10, yet Cunningham didn’t go down. Using his left hand to stabilize himself, Cunningham popped up and tossed a touchdown pass to tight end Jimmie Giles. Cunningham’s stunner capped a 12-play, 80-yard drive. Even today, Banks still can’t believe it. Cunningham was such a big-play artist, his peers at his position also were in awe of him. 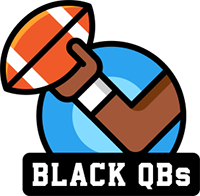 Doug Williams, the first African-American quarterback to win a Super Bowl and be selected the game’s Most Valuable Player, often used to shake his head in amazement while watching Cunningham work. Whether eluding would-be pass rushers or throwing deep, “you name it, Randall could do it at the position,” said Williams, now the Washington Redskins’ senior vice president of player personnel. In 2012, young dual-threat passers Robert Griffin III, Russell Wilson and Colin Kaepernick were the talk of the NFL. Their ability to both thrive on designed running plays as well as pass efficiently prompted defensive coordinators to put in extra work. Cunningham, however, was way ahead of the game. The Eagles selected the former University of Nevada, Las Vegas star in the second round (37th overall) of the 1985 draft. Cunningham’s older brother, Sam, was an All-American fullback at Southern California in the early 1970s and a Pro Bowler for the New England Patriots. By 1987, Randall had become the Eagles’ starter. If Eagles receivers were well covered, it was common for Cunningham to take off for 20- and 30-yard runs. If there were holes in coverage, Cunningham regularly found them. He kept the pressure on, Warren Moon said. Within the pocket, Cunningham was a master of deception, said Moon, the only African-American passer in the Pro Football Hall of Fame. “He was a guy who was really successful with his legs, but he also had a cannon for an arm,” said Moon, an analyst on Seattle Seahawks radio broadcasts. “He really was the first dual-threat quarterback. Some people would say Fran Tarkenton, but he was more of a scrambler. Throughout Cunningham’s tenure in Philadelphia, the Eagles had strong teams. In three consecutive seasons from 1988 through 1990, they finished either first or second in the NFC East and qualified for the postseason. Unfortunately for Cunningham and the Eagles, they went 0-3 in the playoffs during that span. Eagles fans were also frustrated that during Cunningham’s 11 seasons in Philadelphia (1985-95), the Eagles’ division rivals — the Dallas Cowboys, Giants and Redskins — won six Super Bowl championships. The Eagles are still waiting for their first Super Bowl title. As is usually the case for players toward the end of their time with a franchise, Cunningham battled injuries and was benched for performance. The team’s fans never fully appreciated Cunningham’s contributions, many Eagles observers say. Cunningham retired after the ’95 season. It seemed his football days were finished until Minnesota Vikings head coach Dennis Green called. After sitting out the 1996 season, Cunningham joined the Vikings in ’97. The 1998 season was the best of Cunningham’s career. He led the league in passer rating and threw 34 touchdown passes with only 10 interceptions. The Vikings, with a top-notch receiving corps that included Cris Carter and rookie Randy Moss, went 15-1 in the regular season. However, they lost in the NFC Championship Game to the Atlanta Falcons. The next season, Cunningham struggled and was benched. He moved on to play for Dallas in 2000 and the Baltimore Ravens in 2001. Then he walked away for good. Cunningham isn’t in the Hall of Fame. But he should be, Banks said.